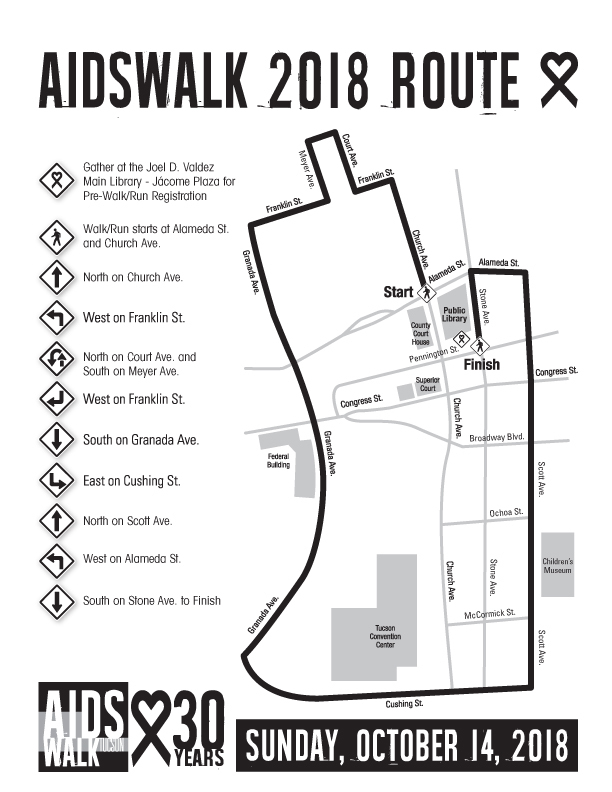 AIDSWALK is held in Downtown Tucson on Jacome Plaza, directly in front of the Joel D. Valdez Main Library. Ample street parking and garages make it easy to find parking close to the venue and much of this parking is free on AIDSWALK morning. Printable Version: Check Back Soon!